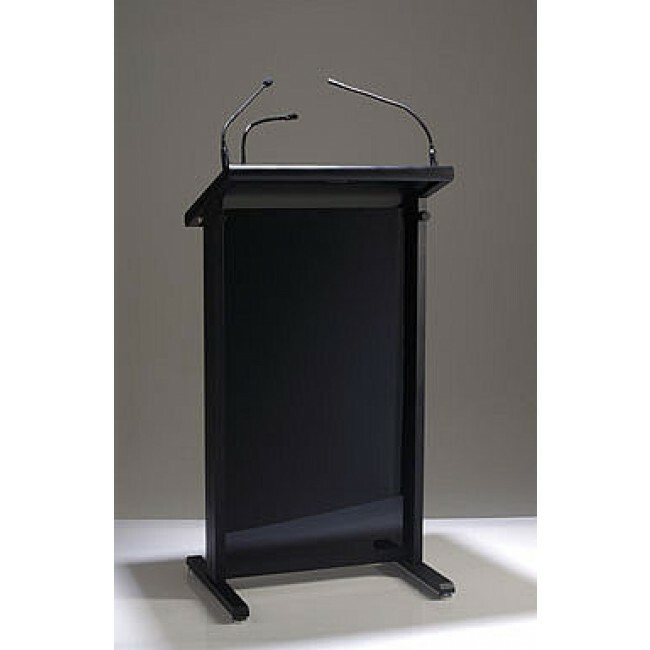 Black Lectrum lectern designed perfectly for speeches. 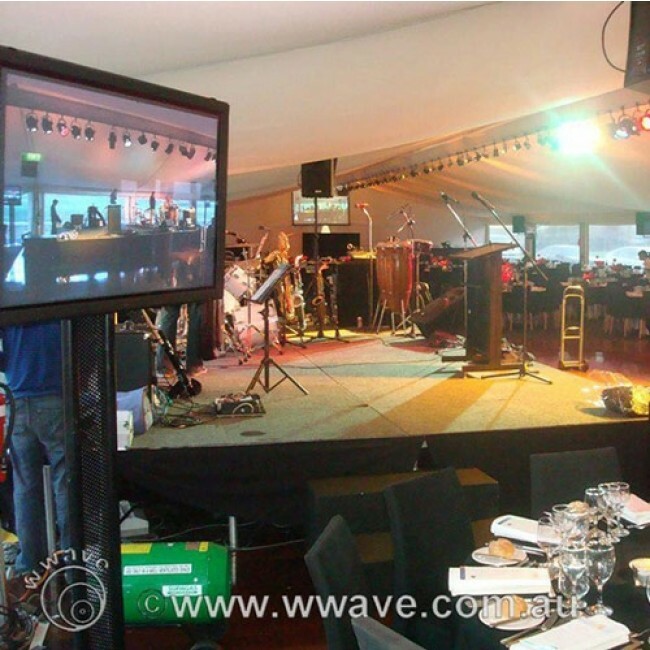 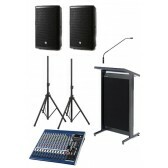 With its metal frame and carpet front provides the ability to put logos on the front and makes it quite easy for the speaker to address the audience. Providing a sleek visual appeal that doesn't distract from the speaker it is perfect for many applications, possibly the reason it is such a widely used black lectern hire product. 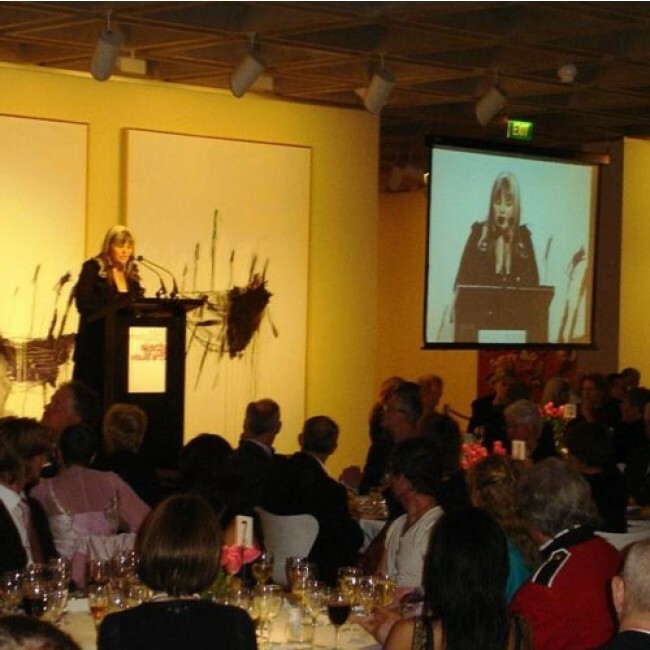 Lectrum Lecterns are used by businesses and all levels of education. 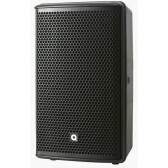 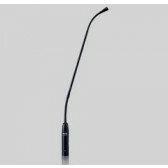 This Lectrum Classic lectern is the industry standard with inputs for two microphone and one light for notes. 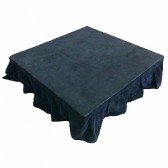 This black lectern hire product offered at our very competitive rate provides all the capabilities you would need from a lectern. 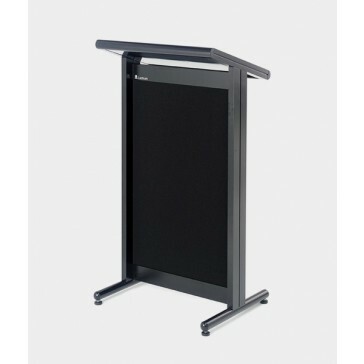 This black lectern hire product is widely used by industry professionals in all settings due to its simplicity, functionality and sleek visual appeal which doesn't distract the audience. 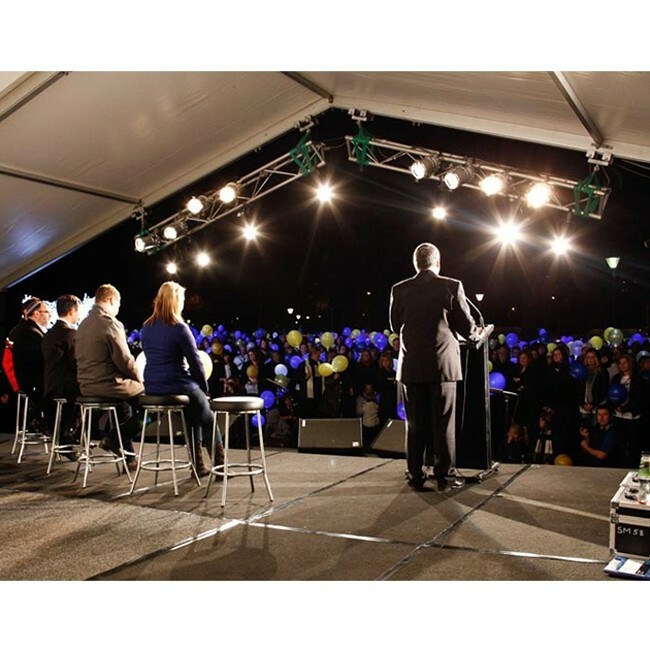 With our black Lectrum lectern hire item the speaker can comfortably place their speech cues in front of them and focus their attention on addressing the audience appropriately.